The Fundamental Index - IFA Vintage and Current Book Library - Index Fund Advisors, Inc. The Fundamental Index® approach is a straightforward concept that weights companies in an indexed portfolio by their current economic scale, rather than by the value of their shares outstanding. In effect, this method shifts the frame of reference for investing from a market-centric view of the world—weighting companies according to how large the market thinks a company will become in the future, and prepays for today—to an economy-centric view—mirroring the current look of the economy. The authors demonstrate that this puts you in a better position to capture considerable profits along the way. Author Rob Arnott and his colleagues at his innovative investment firm, Research Affiliates, spent several years developing the Fundamental Index methodology. In just over three years, the idea has attracted over $20 billion of investment capital from some of the largest and most sophisticated institutional investors in the world. Now, with this book, Arnott and his coauthors Jason Hsu and John West explore the nuances of this approach, its historical roots, and its many practical applications. The Fundamental Index examines how this new twist on indexing can overcome the structural return drag created by traditional capitalization-based indexing strategies—which systematically overweight overpriced securities and underweight underpriced securities—and in so doing, enhance the performance of your portfolio. Throughout these pages, Arnott and his colleagues outline this breakthrough strategy and explain how it can be used to improve investment returns, typically at lower risk and lower cost than most conventional investments. In addition to discussing the powerful long-term performance of this strategy, The Fundamental Indexalso addresses an array of additional advantages associated with the Fundamental Index approach. You'll discover how it allows for more flexibility in your asset allocation decisions and learn how it can be particularly useful when dealing with inefficient market categories such as small companies and emerging markets. Best of all, you'll see how well Fundamental Index portfolios perform when excess returns are needed most—during market and economic downturns. In the years ahead, the Fundamental Index approach will become an important part of the indexing community and an essential alternative for those who are disappointed with the hollow promises of active management and frustrated with the market bubbles that traditional index funds pull us into. This innovative and accessible strategy will give experienced and aspiring investors—and their advisors—a new tool to achieve better returns in a variety of markets and conditions. 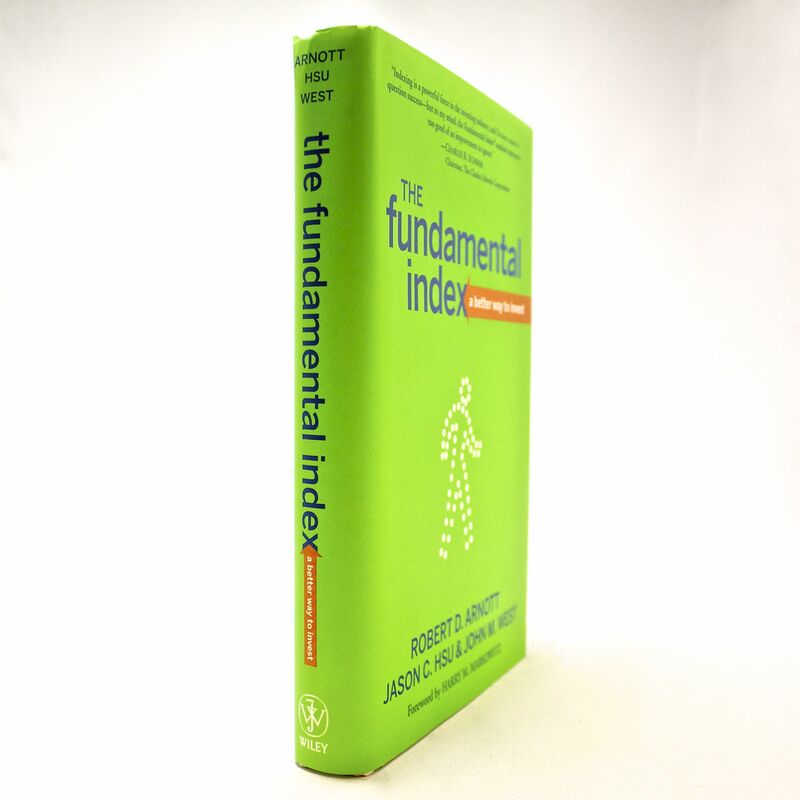 Pick up this book today and discover how the Fundamental Index strategy can work for you.